This entry was posted in 40s Fanhistory, Awards, Worldcon and tagged Hugo Awards, Hugo Voter Packet, Retro-Hugos, Worldcon 76 by Mike Glyer. Bookmark the permalink. The Kindle US link for The Uninvited goes to a “Sorry, we cannot find this page” at Amazon. Thanks, Robert, it looks as though a space sneaked in there. I’ll get Mike to fix it. are all available to borrow at archive.org for registered users. Currently waitlisted, though. Thanks for your extra work in bringing this to us, JJ. “The Twonky” is genuinely one of the best, creepiest short stories ever written. I hope it wins. At first I was somewhat disturbed by how much more familiar I was with these titles than the current year’s nominees, then I realised I’ve had a lot more time to encounter them. I’ve often used archive.org as a resource, and I think that what they do is a good thing. While it is true that many of the pulps they host scans of did not have copyright renewed, and that archive.org represents them as being in the public domain, in many (most?) cases, the individual authors did renew copyrights to the individual stories, and many of them (or their literary estates) would dispute that it is legal/appropriate for the stories to be available like this. I don’t think that making these old stories available is at the level of ripping a DVD of the newest Star Wars movie and uploading it to a torrent host; but neither is reading them an action completely devoid of ethical concerns. YMMV. A lot of the issues linked above do have renewed copyrights of their own (in addition to the individual story renewals that Bill notes). Astounding, for instance, started renewing issue copyrights starting with the October 1933 issue, and I think most of the later issues were copyright-renewed as well, though I haven’t done a systematic check for this magazine past the first renewal. I have done a more thorough survey of Amazing Stories, another magazine linked above, and while it didn’t renew any of its 1942 issues, 6 out of its 12 issues that year have copyright-renewed contributions. More details can be found in my inventory of copyright-renewed serials in the link for my name in this comment. Basically, don’t assume that any of the post-1922 pulps uploaded to the Internet Archive are necessarily in the public domain. Some are, and some aren’t (in part or in whole), and as far as I can tell the main uploaders don’t do much checking of them before uploading. There’s also the issue that some magazine copyright renewals are only for editorial content. Thanks so much, JJ. This will make voting SO MUCH easier–I remember most of these stories, but haven’t re-read them in years. Why was Heinlein using pseudonyms in this period? Why did he use different ones for Astounding and Unknown Worlds? I never heard of Jane Rice before (I think). Does anyone know why she didn’t use a pseud while C.L. Moore did? Wikipedia says Moore wasn’t trying to hide her gender, but the fact that she was writing, but I don’t know how true that is. Doctor Science: Why was Heinlein using pseudonyms in this period? Why did he use different ones for Astounding and Unknown Worlds? In the magazines I’ve looked at in my copyright surveys, I’ve noticed that many of the pseudonymous magazine stories by well-known authors were in issues that also had another story by the same author under their usual name. It seems to have been fairly common for some magazines to print multiple stories by the same author, but want to make it look like every story was by a different author. 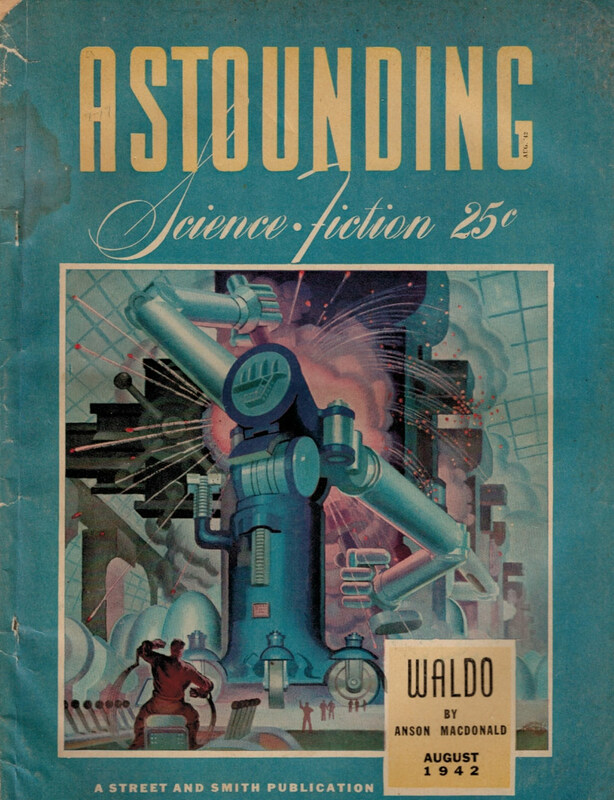 Sometimes the pseudonymous stories were popular enough to spawn later magazine stories using the same characters or setting. In those cases, the pseudonym was also often reused for those later stories, to avoid confusing people. The story I’ve seen about C.L. Moore in several places was that she used a pseudonym because she was afraid that she’d lose her well paid job at a bank, if her boss knew she was writing. Some of these sources are academic works I consider trustworthy. Of course, it’s still noteworthy that she decided on a gender-neutral pen name rather than go by e.g. Lucille Moore. I’ve never heard of Jane Rice either. Not even books about woman SFF writers of the 1930s and 1940s mention her.